A 5 star luxury full board stay including 2 amazing gourmet experiences on the stunning North Cornwall coast. 2 nights, £390 total for 2 people. Available Sundays to Thursdays until May 31st. Our talented chefs are fresh back from a fact finding trip in Northern Spain touring and learning from some of the world’s top eateries and Michelin star restaurants including Bar Ibai, Elkano and the amazing Etxebarri. 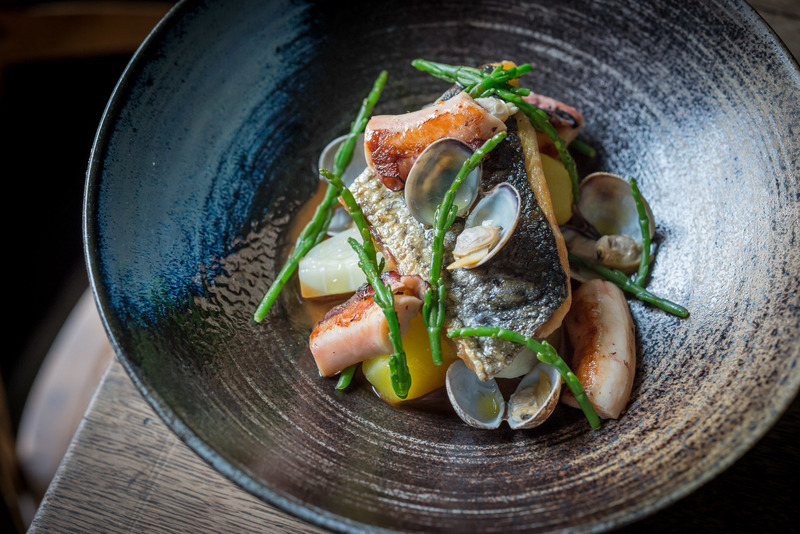 Inspired by their trip, our head chefs at Pilchards and Port Gaverne Hotel have rustled up new seasonal menus with daily changing specials featuring the best Cornish produce available. And for a limited time only, we’re offering you a big value mid-week deal so you can decide which is your favourite. For £390, two of you can stay by the beach at the five star multi award winning Port Gaverne Hotel or Stargazy, our beautiful cliff top B&B in Port Isaac. Included in the price is a proper full Cornish breakfast and a 3 course meal at Pilchards cafe and the 2 rosette Port Gaverne restaurant. The offer ends 31st May and spaces are limited. To stay by the beach at Port Gaverne, please call us direct on +44 (0)1208 880244 to reserve your date, quoting Spring Gourmet Break. To stay on the cliffs at Stargazy Inn, please book direct on 01208 811 516. The conditions (there aren’t many): full payment in advance on booking, non-refundable, based on two people sharing a room and valid for any night except Fridays & Saturdays.